It was a busy week for the 15 Mail trainees in Kensington this week. They had sessions with some top journalists including Hugh Dougherty, Marianna Partisides, Harriet Arkell, Chris Greenwood and assistant editor (news) Neil Darbyshire. Four former trainees, Katherine Faulkner (who is now deputy news editor), Mark Duell, Simon Murphy and Kieran Corcoran also gave them an insight into what to expect in the months ahead. They also received practical advice from managing editor Alex Bannister and deputy managing editor (online) Tal Gottesman. In between the talks they wrote articles and analysed sources. Last night they enjoyed a ‘few' drinks at the Greyhound with former trainees. 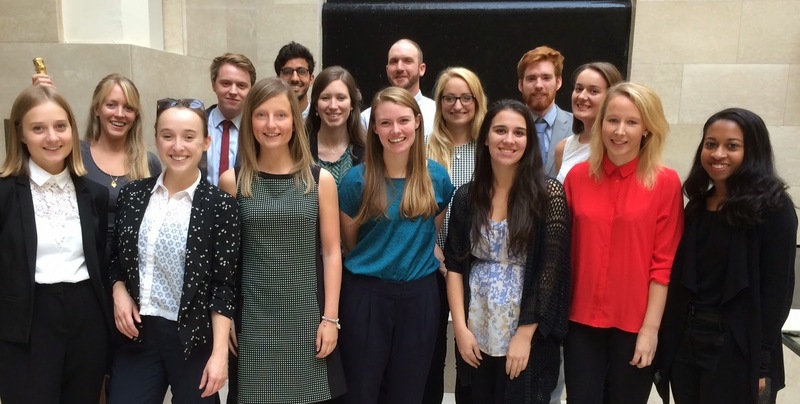 The nine print reporters now head off to their regional newspaper and agency placements and will return to London next year. Meanwhile the six MailOnline journalists, five of them from America, head off to PA’s headquarters in Howden where they will continue their training. We finished the week, as always, with the news quiz. Congratulations to last week’s winner Lydia Willgress who stormed ahead again with 17.5. Lydia is the overall Online leader. A bottle of Champage was given to the highest scoring trainee newspaper reporter over the last two weeks. It was collected by Harriet Crawford who pipped Jaber Mohamed by half a point. It marked the end of a good fortnight for Harriet who got a byline on a page lead in the Mail and two bylines on MailOnline too. The Daily Telegraph course started in Howden this week too. The top score there was 14 by James Rothwell. Anyway, there are 23 points up for grabs. See if you can do any better than Lydia’s very impressive 17.5. 1. According to bookmakers Paddy Power and Ladbrokes, if the Royal baby is a girl, there are two names which are joint favourite. What are they? Half point for each. Bonus (1pt) … Kate's pregnancy meant she had to miss the opening ceremony of which event on Wednesday? 2. Extracts from the book Prince Harry: Brother, Soldier, Son have been helping to make the headlines. Who is the book’s author? 3. Serena Williams won her 18th Grand Slam title, the same as Martina Navratilova and Chris Evert. 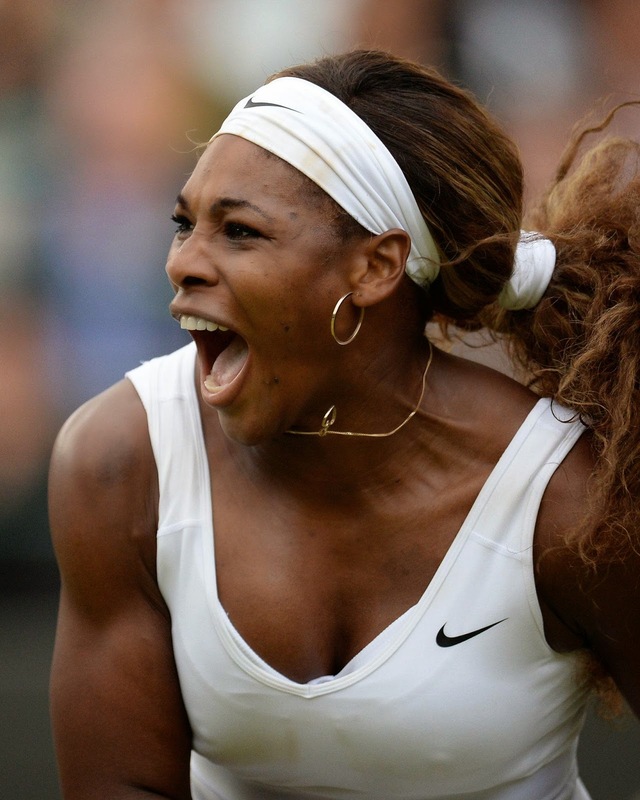 But which woman tennis player tops the all-time record with 22? Bonus (1pt), Roger Federer tops the all time Grand Slam winners table for men. How many has he won? 4. Raising the Scottish flag over Downing Street backfired a little when it slipped back down the pole. What is the name of the Scottish flag? Bonus (1pt) Which country said it was supporting Scottish Independence so it could import whisky? 5. Oscar Pistorius has been found guilty of culpable homicide and which other charge? 6. Actor Giles Watling is planning to stand as a Conservative in the Clacton by-election. In which sitcom did he become famous? 7. How many different watch faces has Apple designed? 8. Fifty flights were cancelled and thousands of people were evacuated from which airport? 9. Who stripped to his underwear after being booed at the Fashion Rocks charity concert in New York? 10. Why was Paul Wilcox in the headlines? 11. According to research by the Department of Transport, which train service was the most overcrowded between September & December last year? 12. Which comedian gave evidence on the alleged assault by Dave Lee Travis at a recording of the Mrs Merton show? 13. Whose house in Geneva did police have to protect from crowds? 14. Strictly Come Dancing launched at the weekend, without Bruce Forsyth. Who is replacing him? 15. Which band gave away a copy of their new album to iTunes users ... whether they wanted it or not? 16. Sir Alan Moses is chairman of which organisation? 17. Who married Harry Needs this week? 18. Why was Polish immigrant Aaron Kosminski in the news this week? 19. Name the Chinese internet company expected to be worth £100 billion when it floats on the New York stock exchange. 20. Which actor disclosed that he once tried Viagra?